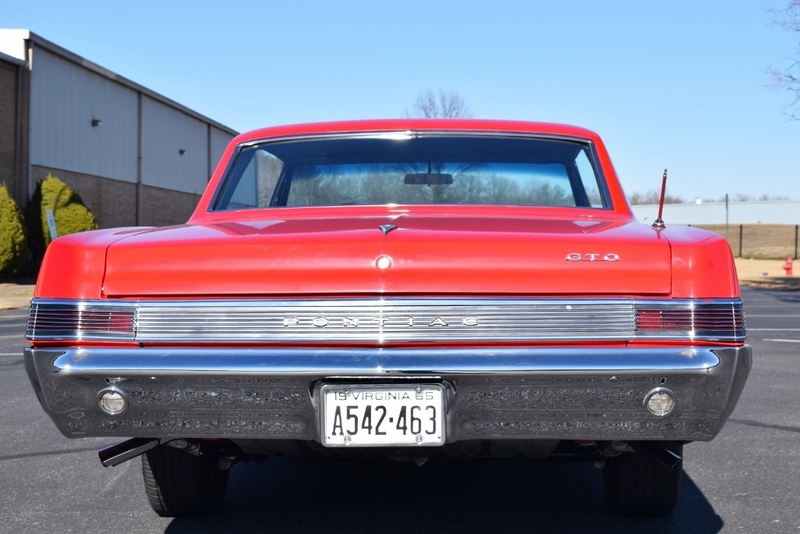 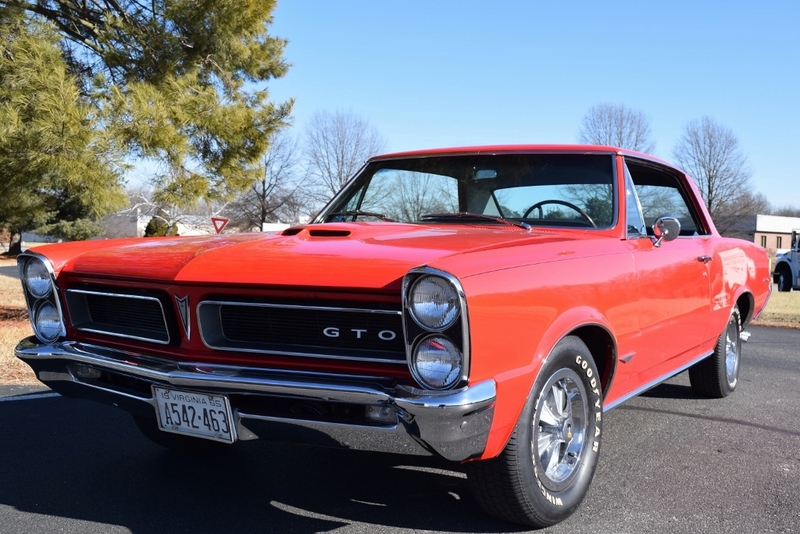 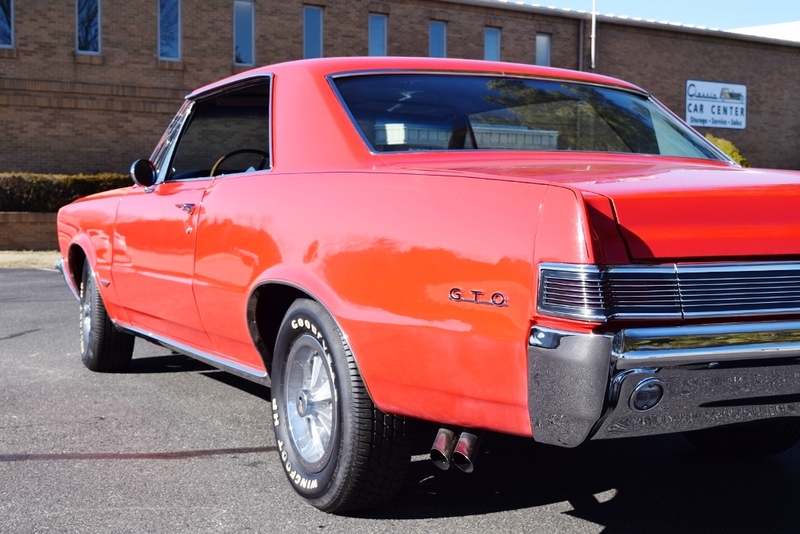 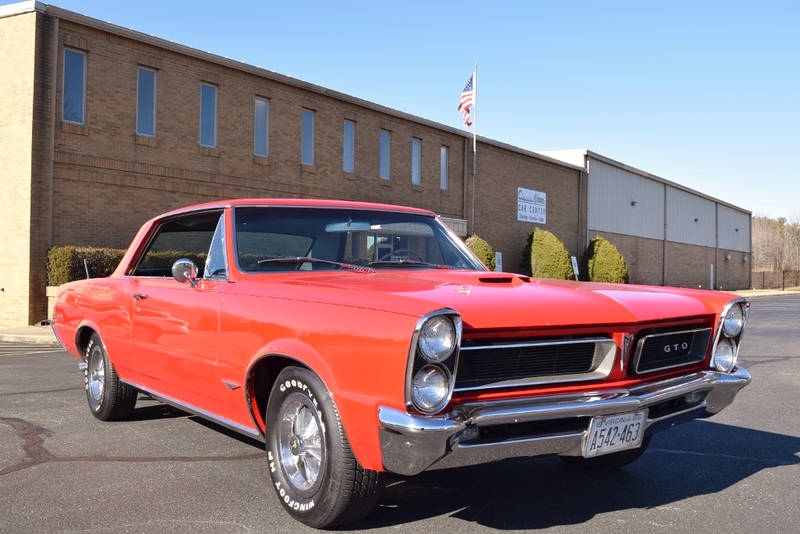 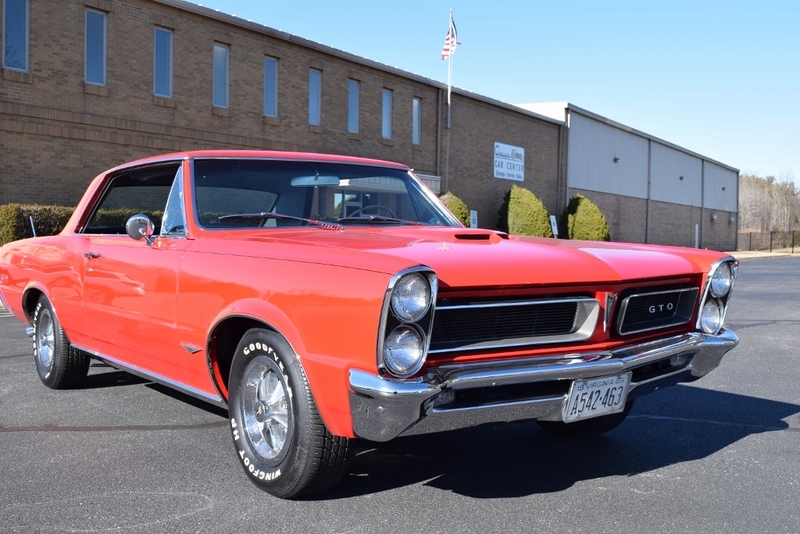 1965 GTO: 3x2s and a 4-speed! 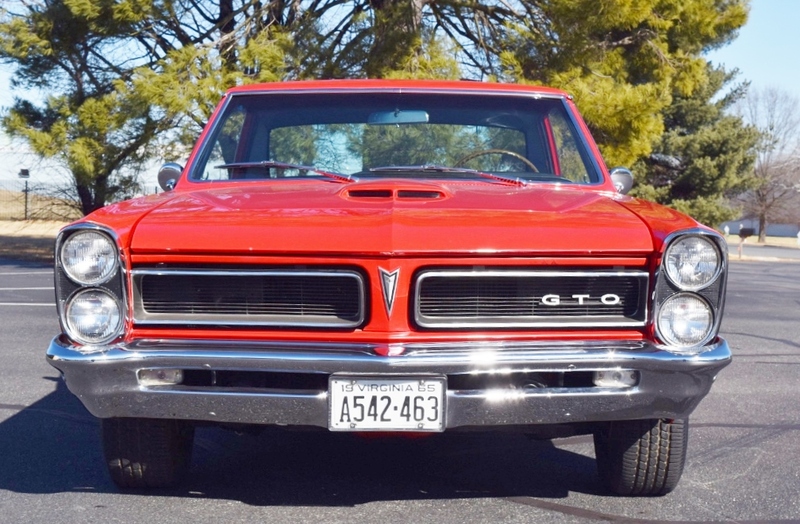 Little GTO, you’re really looking fine. 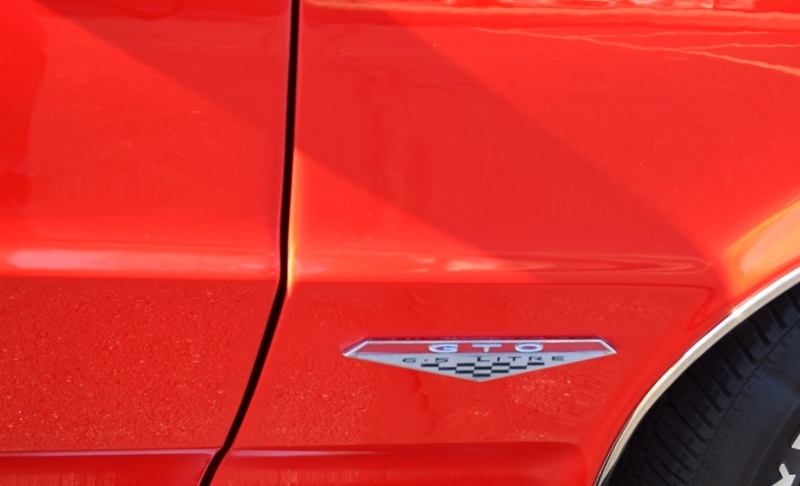 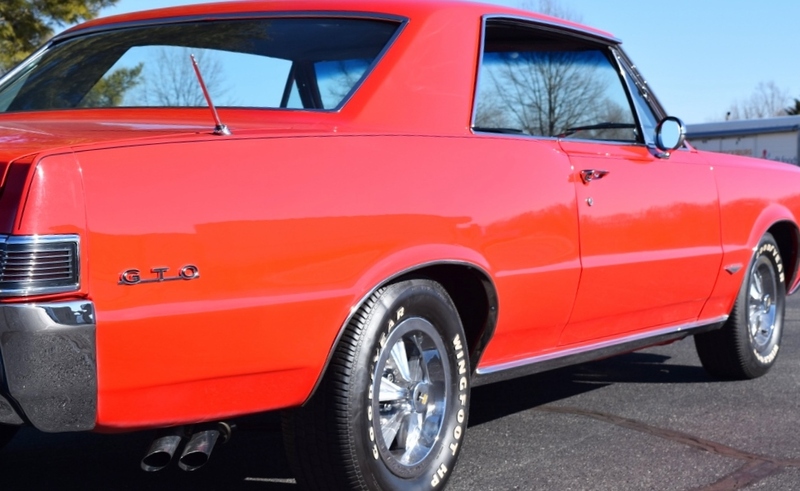 Three deuces and a four-speed and a 389 . . . 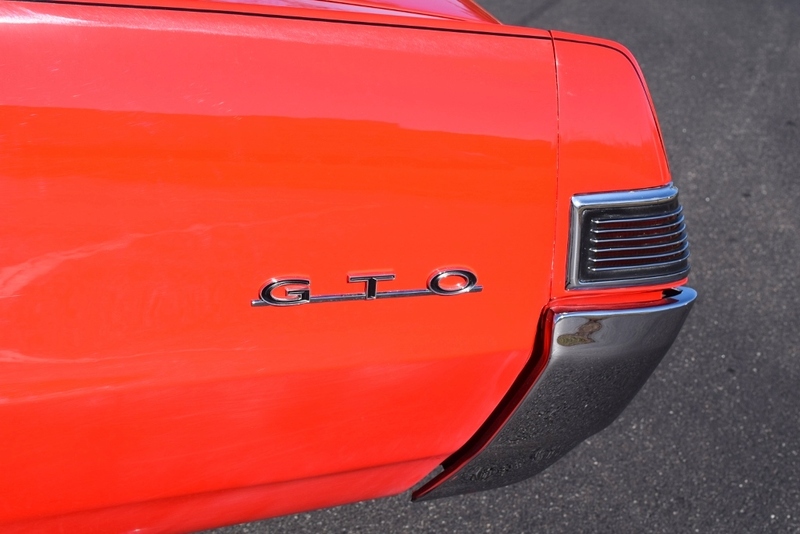 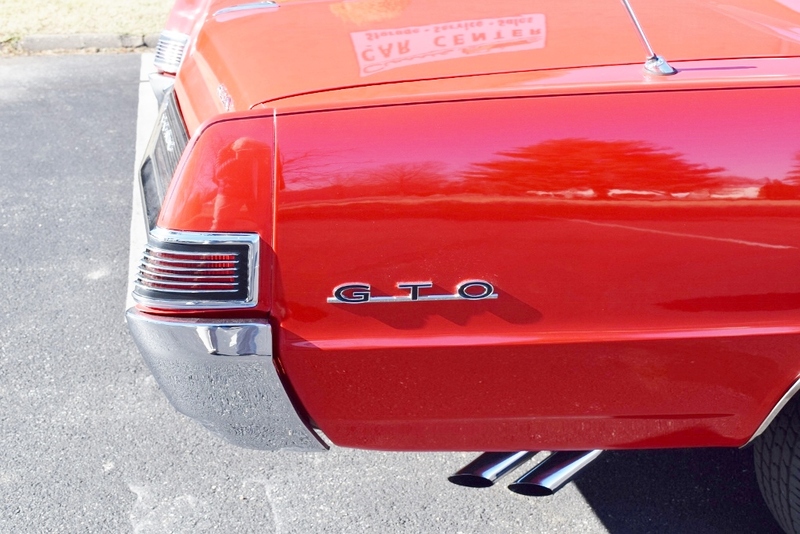 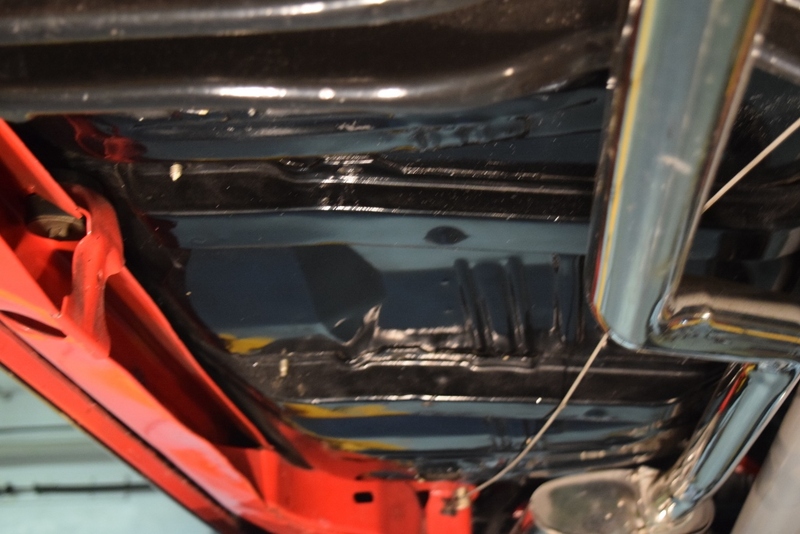 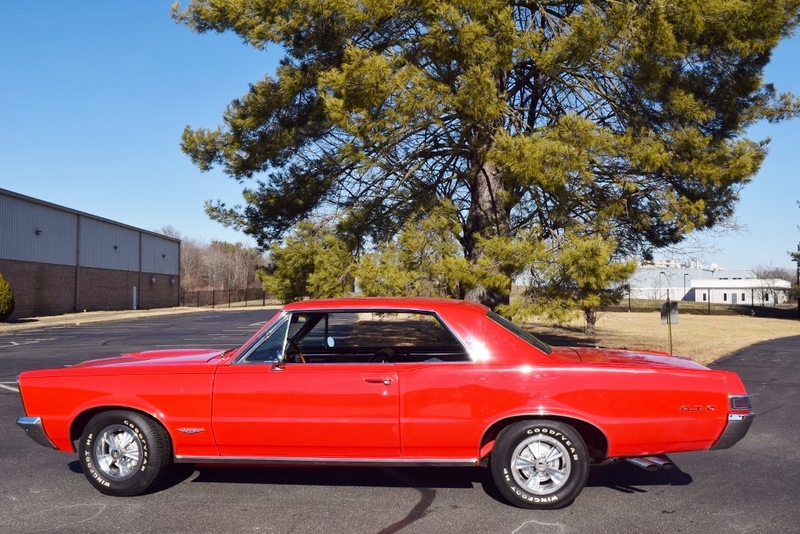 The frame-off re-spray of this GTO in its color-change Montero Red is nicer than when it left the showroom. 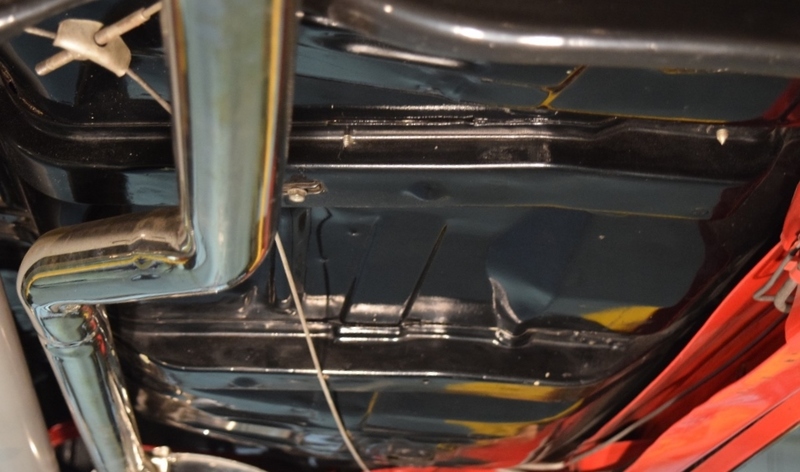 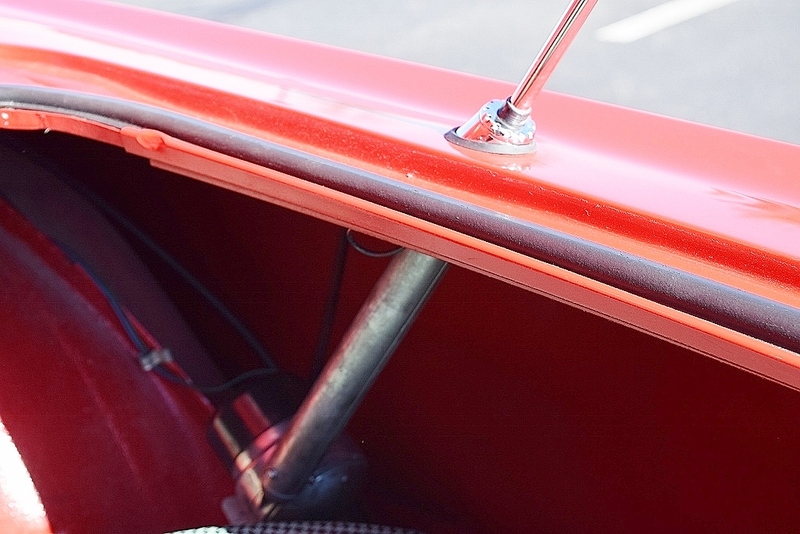 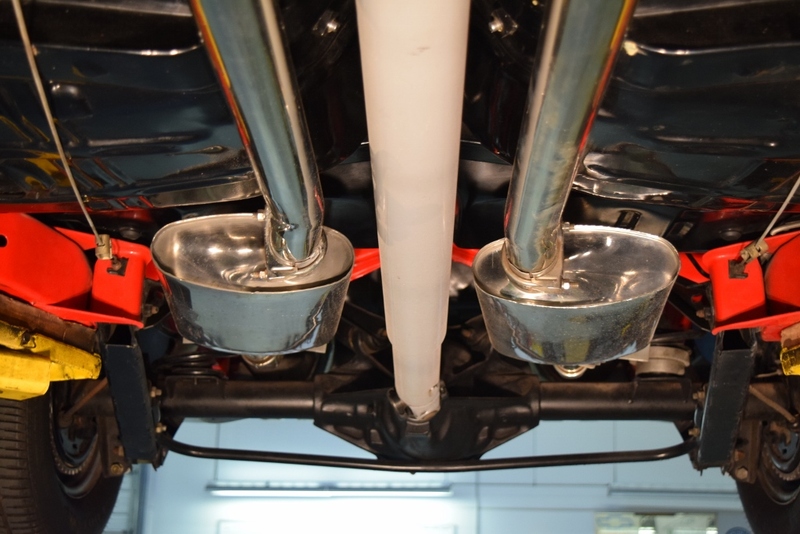 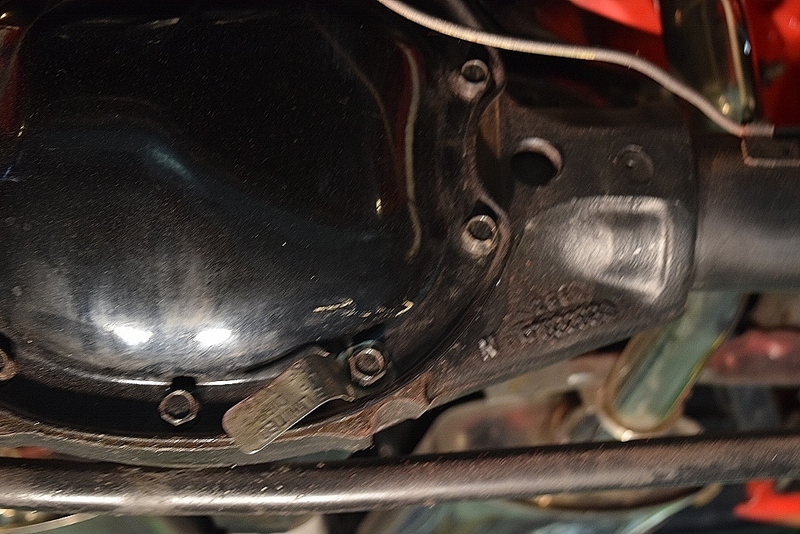 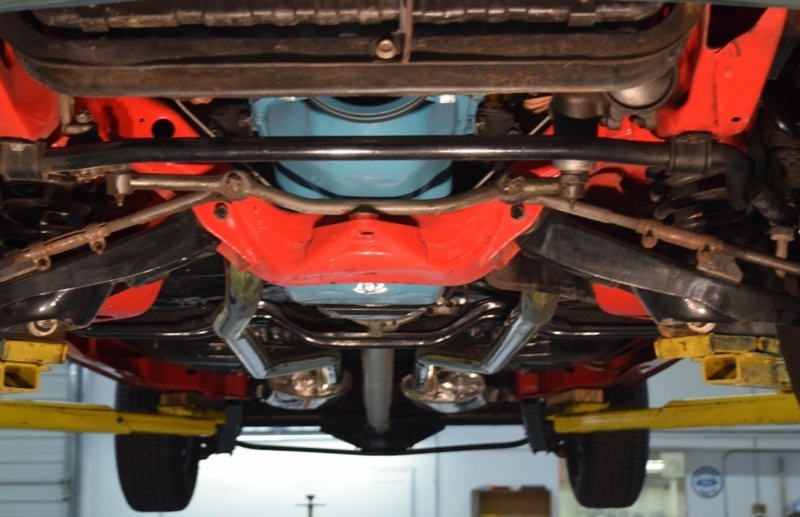 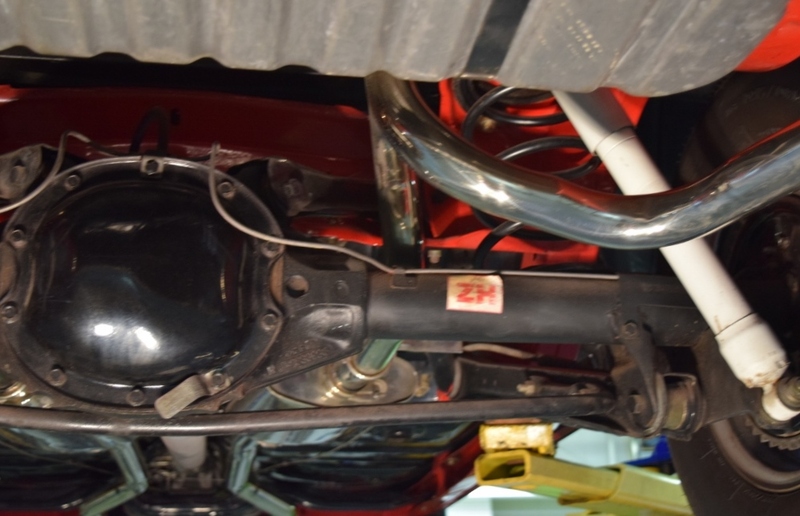 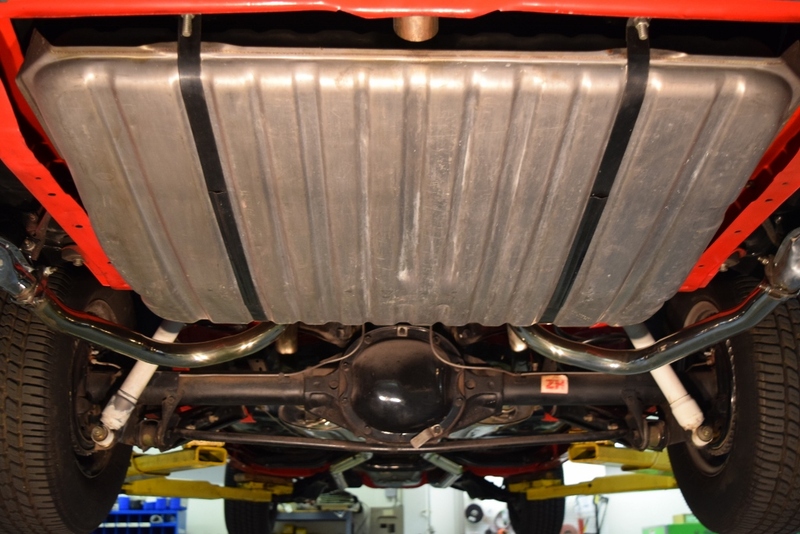 The underside is almost show-quality clean without a hint of rust or corrosion. 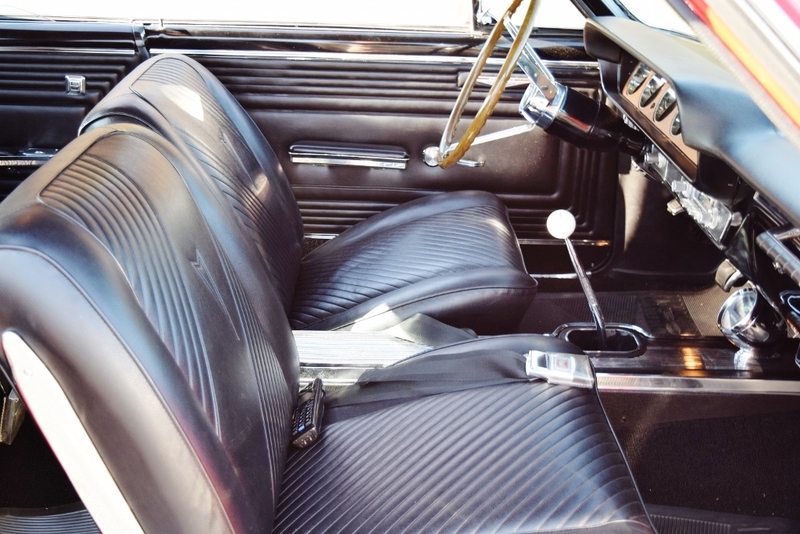 The black vinyl interior is clean and fresh-looking, and as one would expect, the upholstery is free of rips, holes or separations. 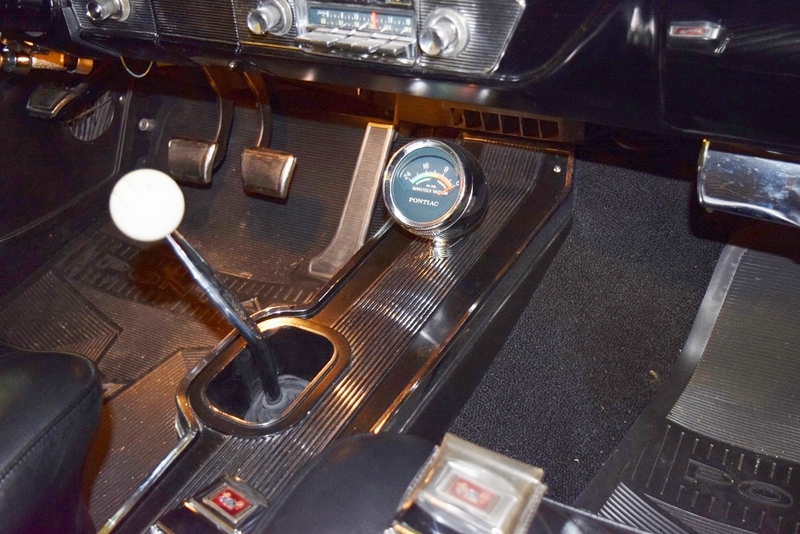 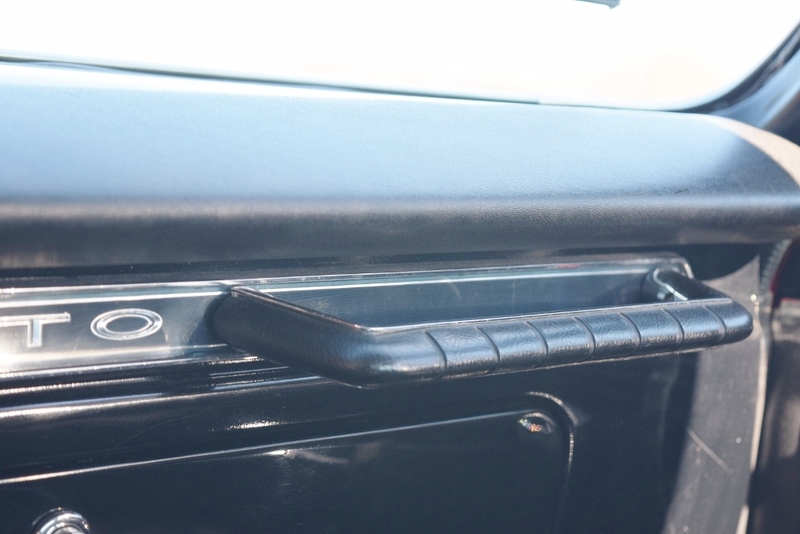 The center console has a vacuum gauge and also houses the floor shift. 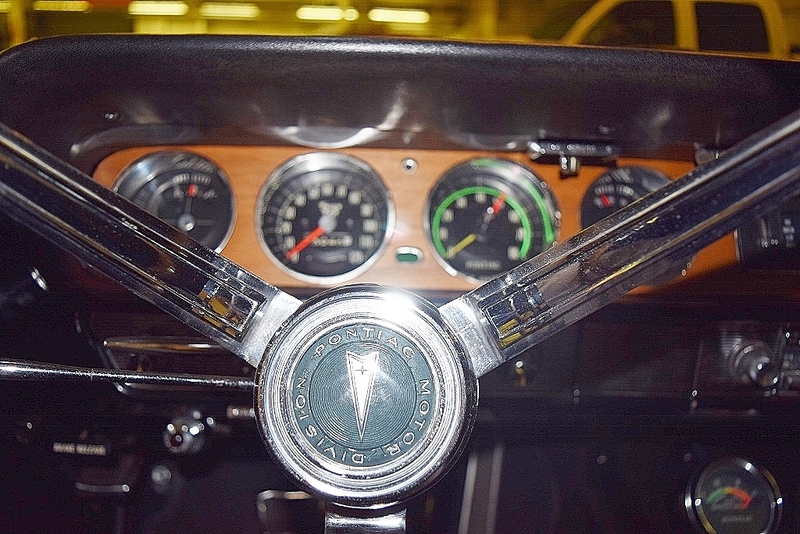 All of the safety equipment (lights, wipers and horn) work properly. 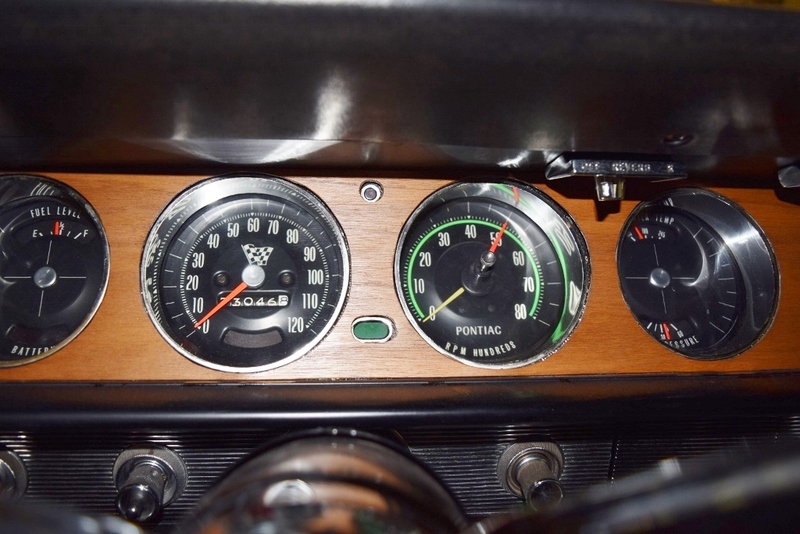 All of the gauges likewise are functioning. 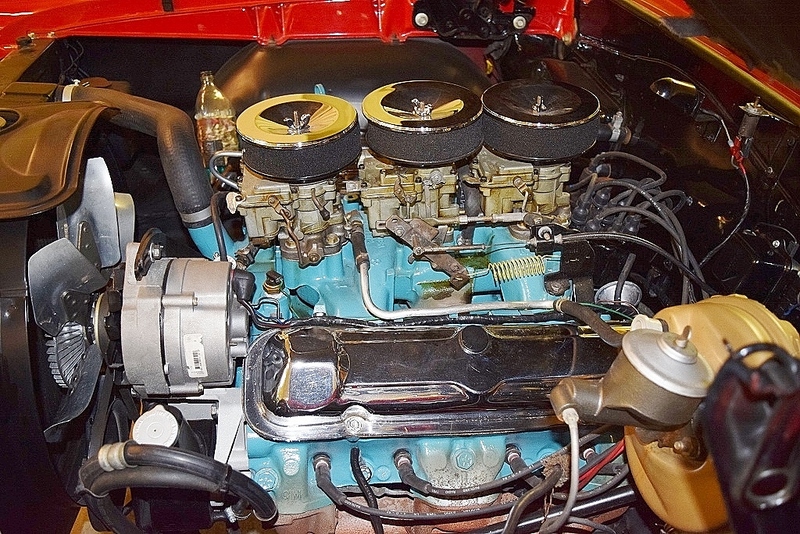 The Tri-power 389 V-8 engine starts right up and runs properly. 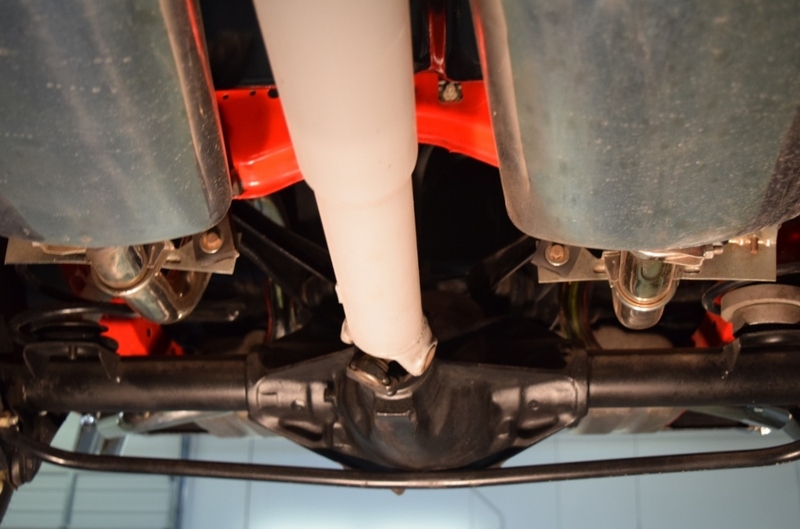 With the 3x2s and dual exhaust, it is off to the races in a flash. 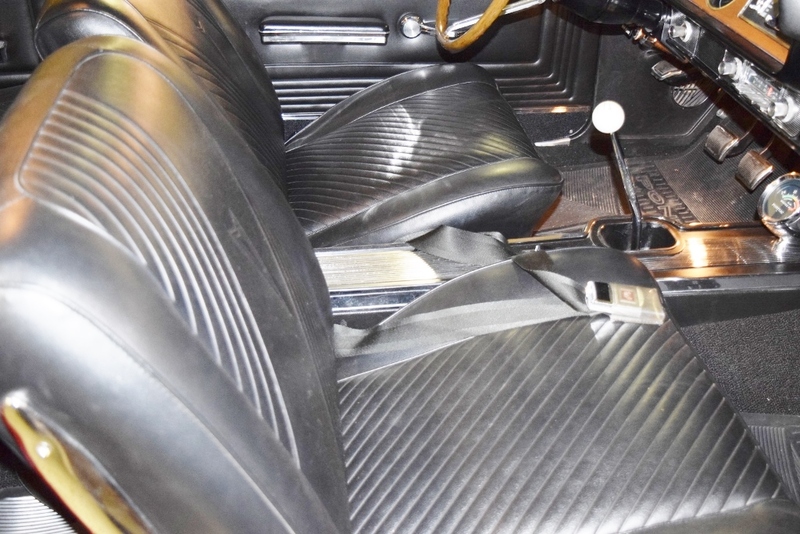 The 4-speed synchromesh manual, transmission has the console-mounted shifter that lets you slip through the gears like a hot knife through butter. 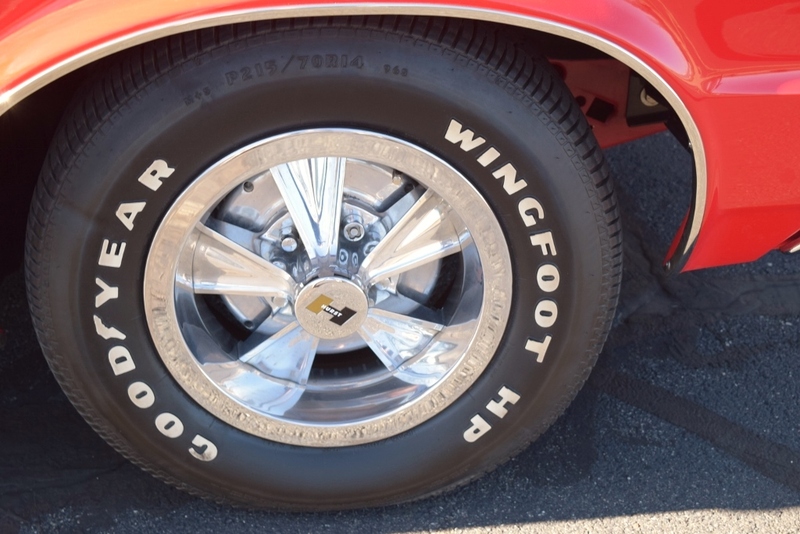 The Wonder-Touch power brakes are enhanced with aluminum drums for faster heat dissipation as well as metallic brake linings for longer wear. 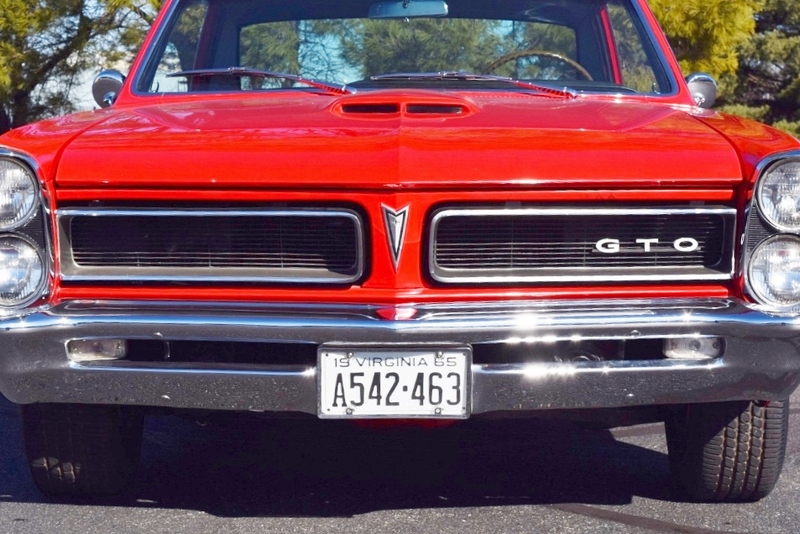 All of the safety features (lights, signals, horn, wipers) of the GTO work correctly as do the gauges, speedometer and tachometer. 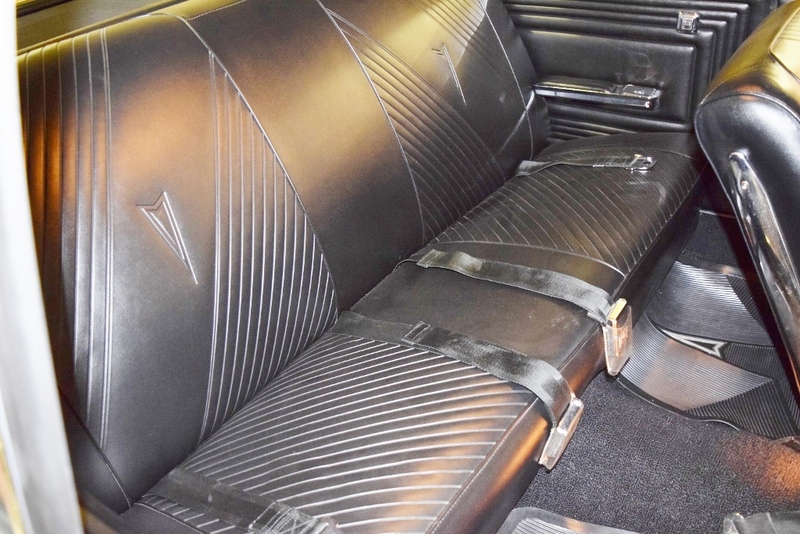 The car is equipped with seat belts for 4. 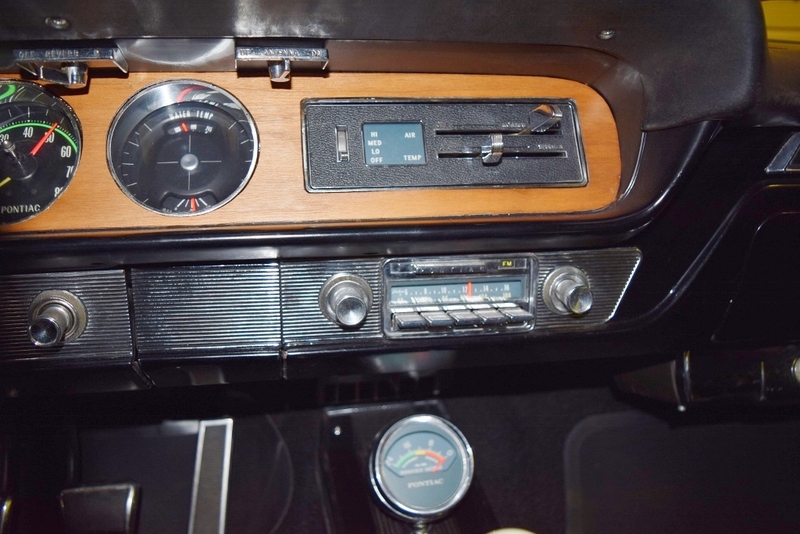 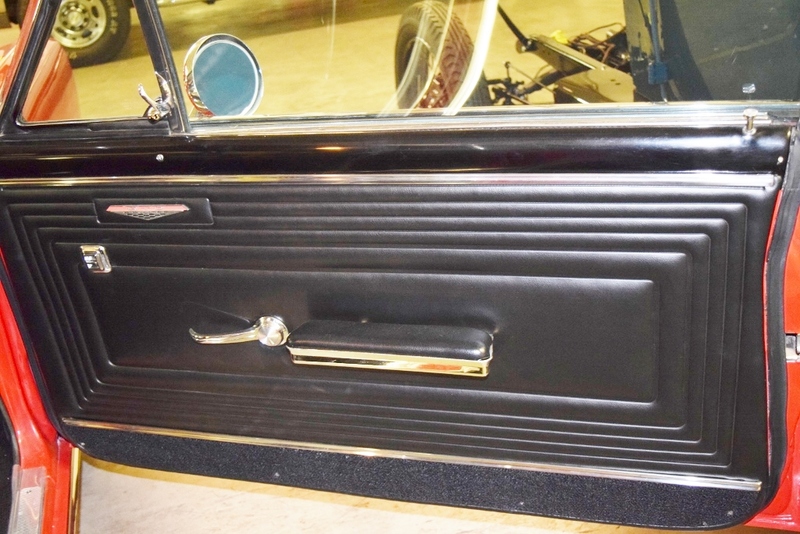 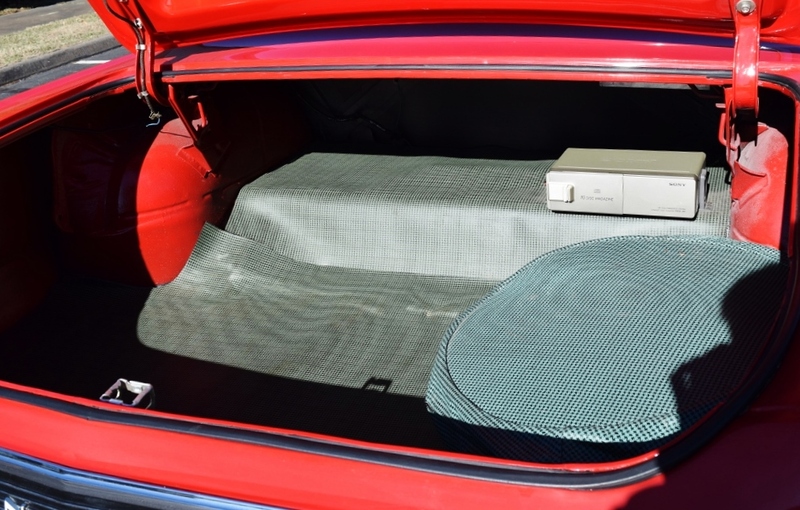 The convenience items include: pushbutton AM/FM radio with electric antenna, power steering and brakes, power windows and driver’s seat, tilt steering, rear window defogger, padded dash, rally gauges, Soft-Ray glass on all windows, handling and ride package, true Hurst aluminum wheels, etc., etc. 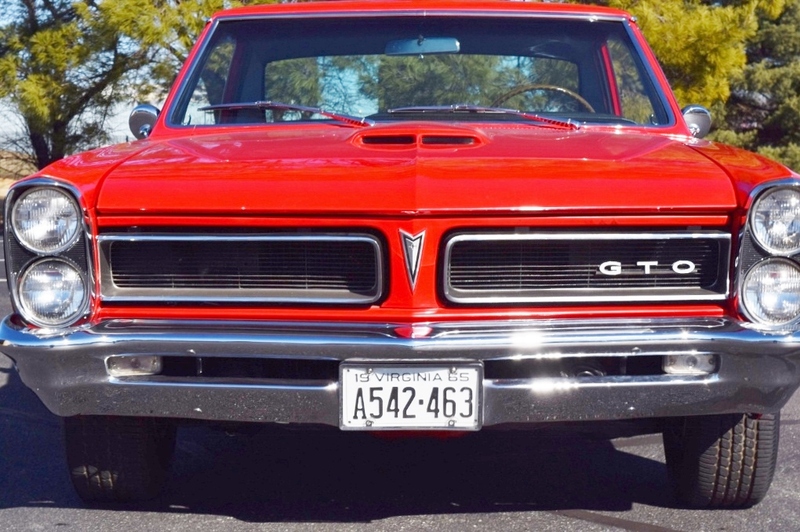 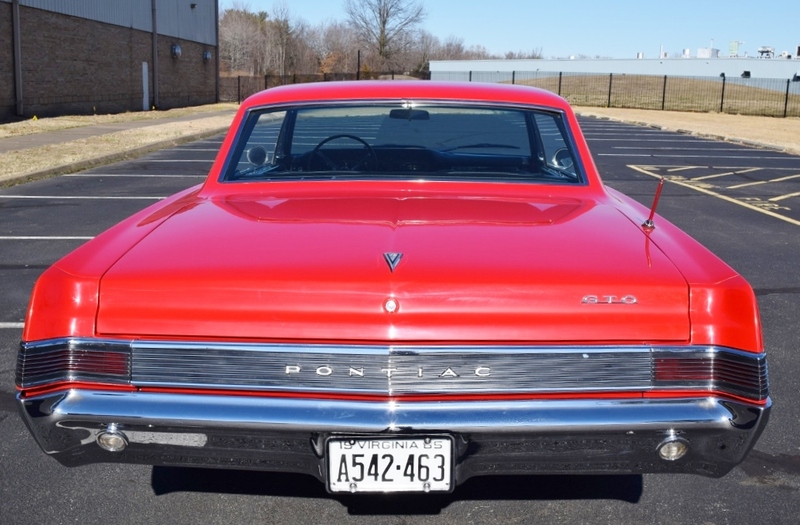 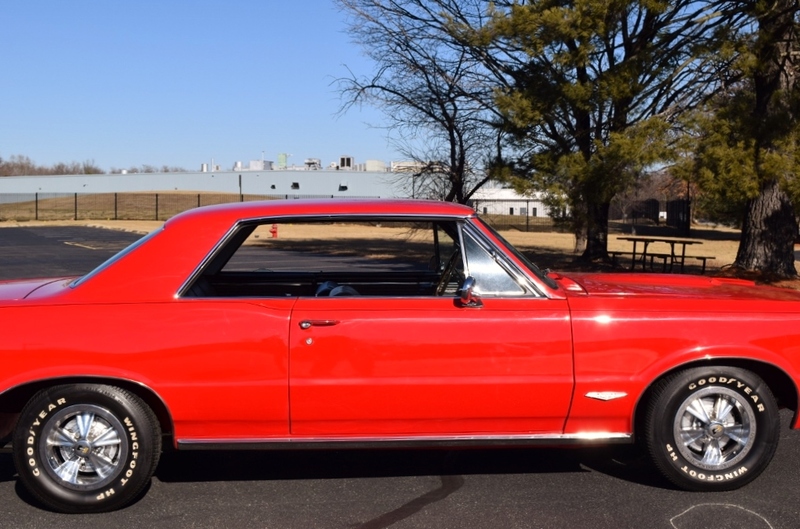 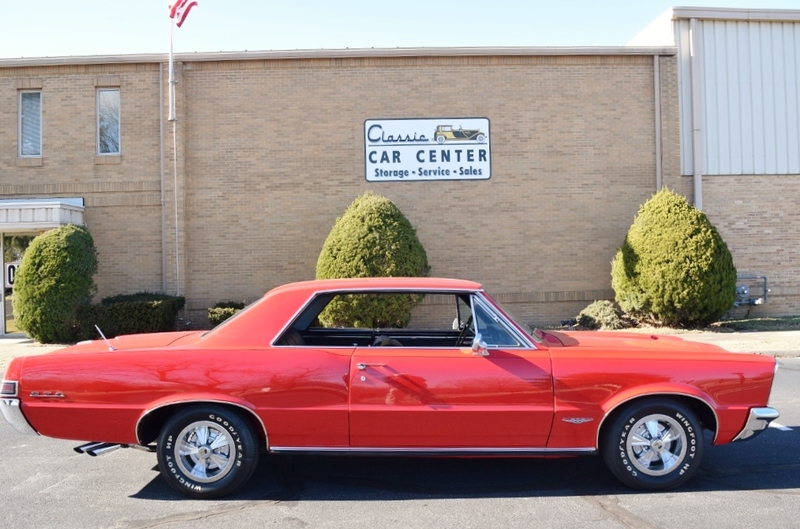 There one word that can best describe this 1965 GTO coupe: EXCEPTIONAL! 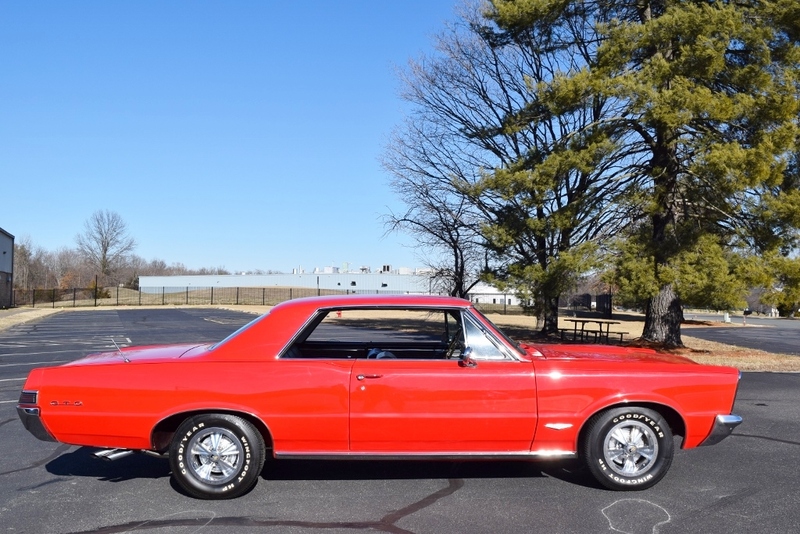 This is a car that will be equally at home on the show field at judged car shows or just driving around town. 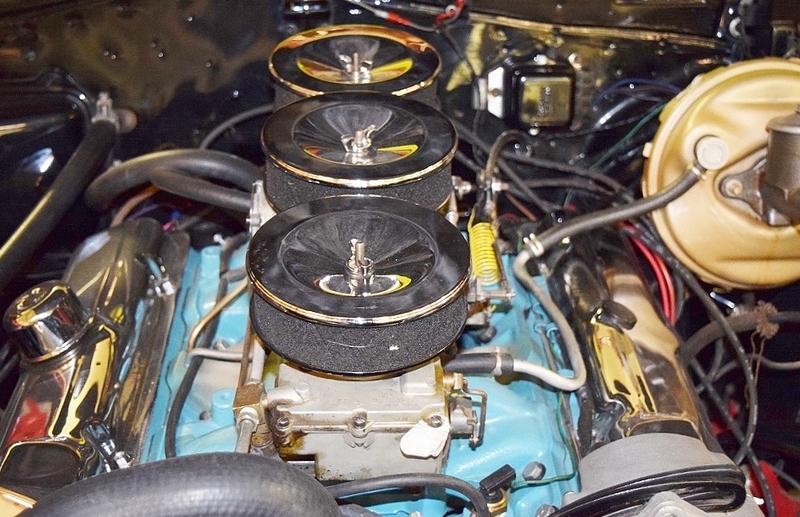 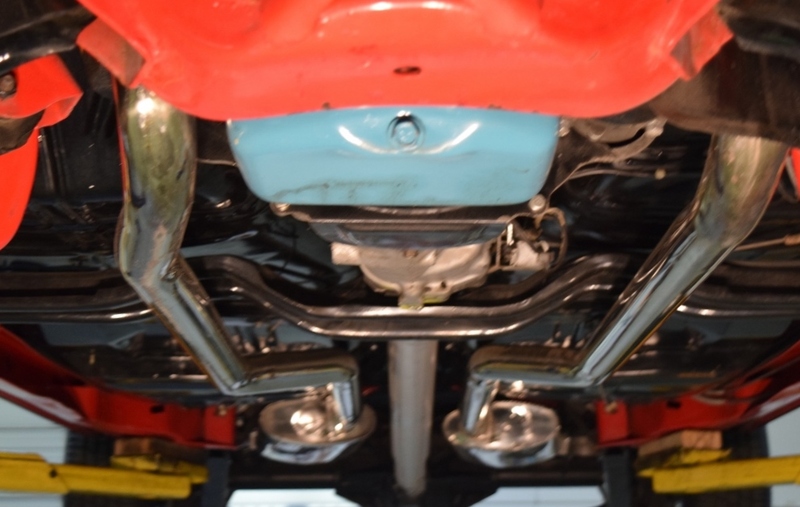 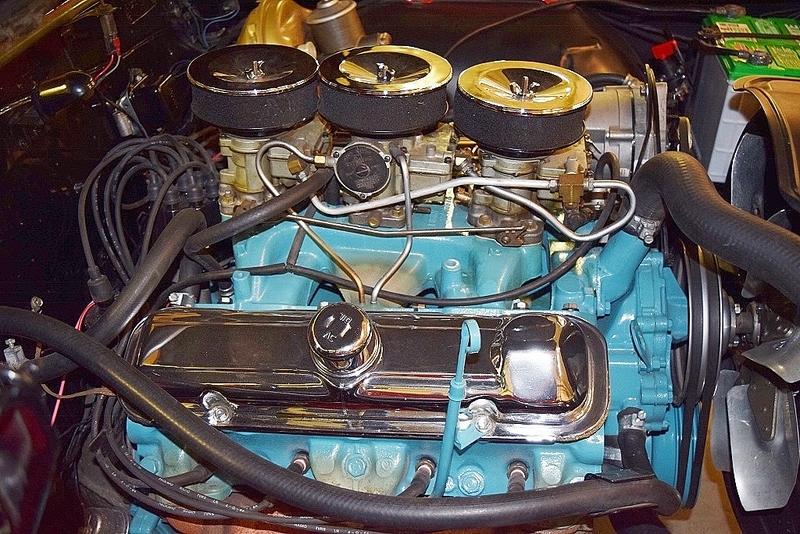 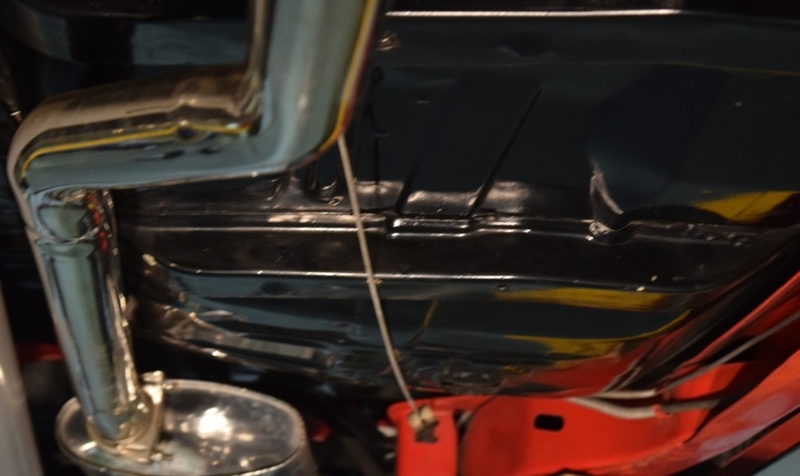 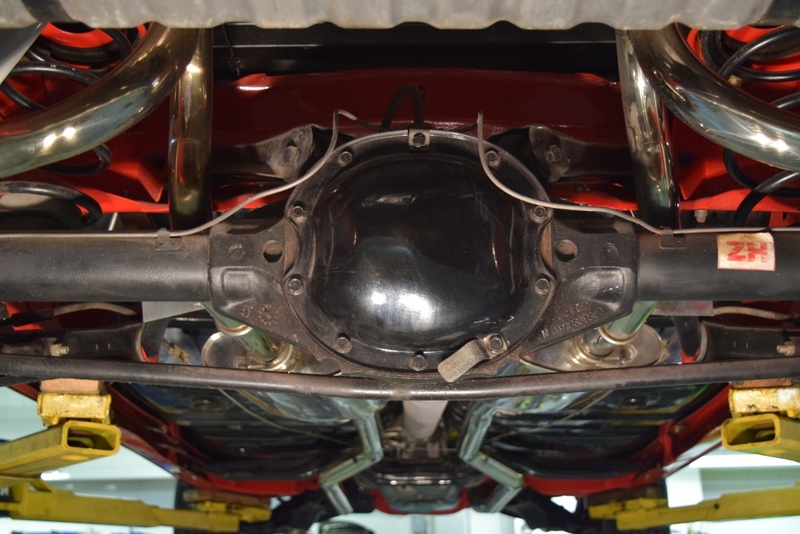 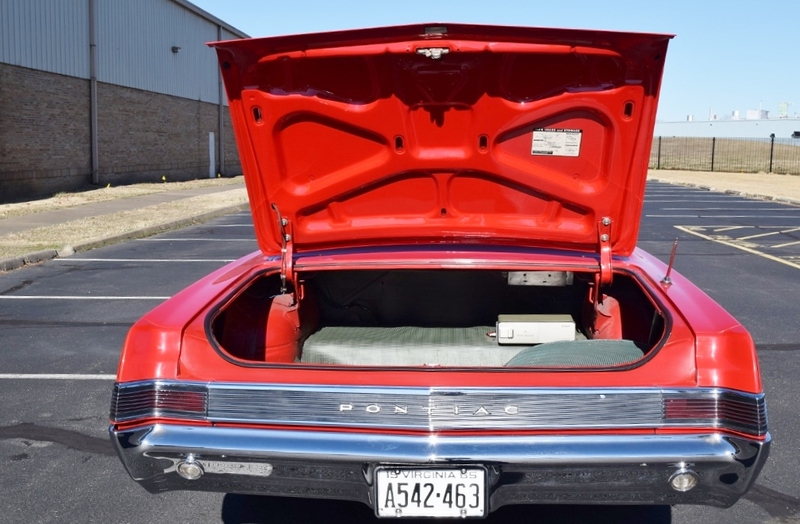 Opening the hood and looking at the Tri-power 389 nestled in a show-quality engine bay is like stepping back to those days when Pontiac first unveiled its top-of-the-line GTO. 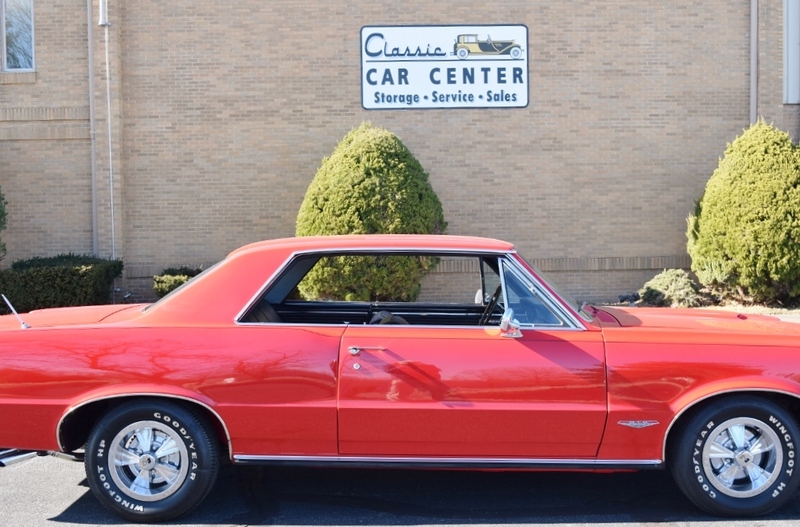 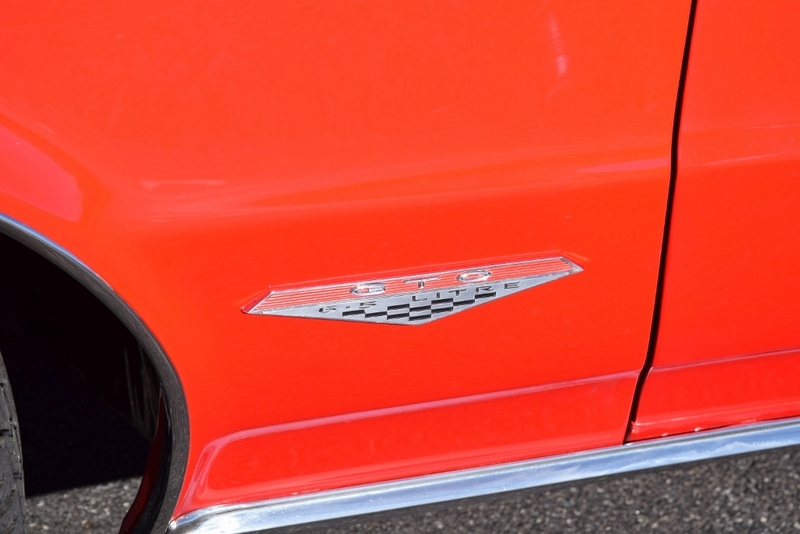 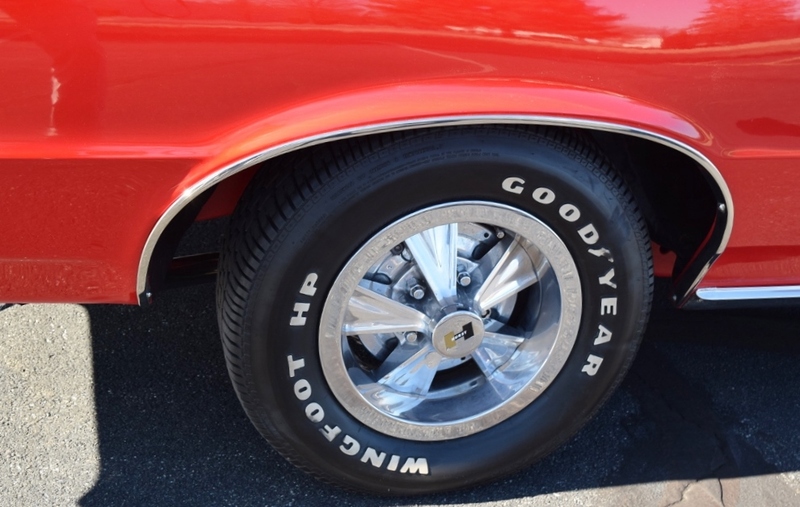 Come to our showroom and see an exceptional example of that era’s muscle car and you’ll be singing Little GTO just like the Beach Boys—well, almost just like!